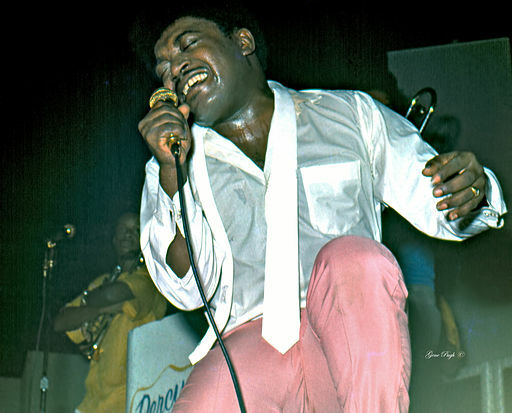 US soul singer Percy Sledge, famed for his song When a Man Loves a Woman, has died aged 73. Steve Green from talent agency Artists International Management Inc confirmed to the BBC that he died at his home in Baton Rouge, Louisiana, on Tuesday. Sledge’s debut single When a Man Loves a Woman reached the top 10 twice in the UK and topped the US Billboard chart for two weeks in 1966, when it also got to number four in the UK chart (See List of the day). During an interview for the the 2013 documentary Muscle Shoals, he recalled his first recording of it. “When I came into the studio, I was shaking like a leaf. I was scared,” he said, adding that it was the “same melody that I sang when I was out in the fields. I just wailed out in the woods and let the echo come back to me”.